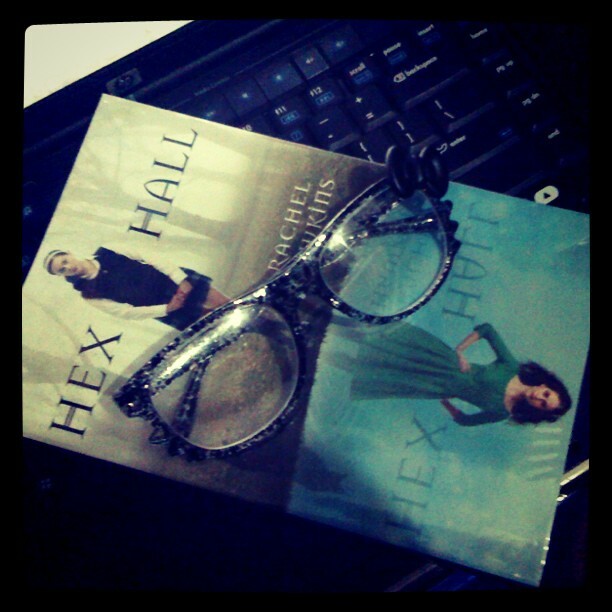 I finished Hex Hall by Rachel Hawkins yesterday and I've been dying to write a review since. Unfortunately, work got in the way. Again. Haha. Anyhoo, the story is about Sophie Mercer and some other magical/ mystical/ paranormal/ whatever friends of hers who live in Hecate Hall a.k.a. Hex Hall for short. First of all, I read the book because it was recommended by Sylvia a.k.a. Heinzypop from Goodreads. Haha. I didn't really have plans of reading this book the first time I saw it but since Sylvia said that it was an excellent read I decided to give it a shot. I honestly loved the book from the get-go. There were no dull moment as I started reading it. I loved Sophie. The fact that she is not your average lame protagonist extraordinaire made her really likeable for me. I love the fact that she has a smart mouth! haha. She seriously made me laugh every time she decided to open that mouth of hers. Anyway, I love the way she developed a a character as the story progressed. Then there's Archer Cross, one of the magical/ mystical/ paranormal/ whatever friend of hers. I love Archer. He kinda' reminds me of a less brooding Jace Wayland and Will Herondale from the TMI and TID series by Cassandra Clare. I honestly loved Archer. I don't know why but I just love my book boyfriends when they're bad! Anyway, I love his character from the very first time he entered the picture. Anyhoo, the other characters were loveable for me. None of them annoyed me. Even the Evil Barbie Trio were likeable. I also loved Jenna. She's Sophie's roommate at the dorms, BTW. The story was okay for me. Not too fast paced and not too slow either. I loved the cliffhanger ending at the end and it made me want to read the second book immediately which I did by the way. Overall, I'd give this a 5/5 stars and I'd definitely recommend it to anybody.